Oulu is a city and municipality of inhabitants in the region of Northern Ostrobothnia, Finland. 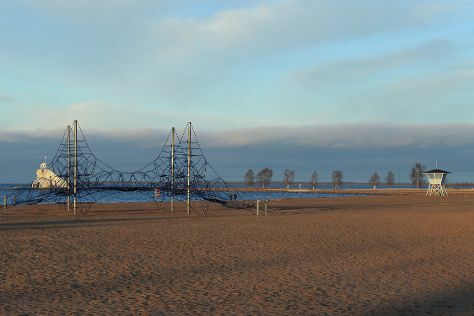 Get outdoors at Nallikari Beach and Maakalla. Your inner history buff will appreciate Kemi Church and Kauppahalli. Explore the numerous day-trip ideas around Oulu: Kierikki Stone Age Centre (in Yli-Ii), Raahe Museum (in Raahe) and Sampo Icebreaker (in Kemi). There's still lots to do: identify plant and animal life at Hupisaaret Park, admire the masterpieces at Oulun Taidemuseo, examine the collection at Pohjois-Pohjanmaan museo, and view the masterpieces at Pohjoisen Valokuvakeskus. To find more things to do, ratings, maps, and other tourist information, go to the Oulu trip itinerary maker app . In June, daytime highs in Oulu are 61°F, while nighttime lows are 48°F. Cap off your sightseeing on the 3rd (Wed) early enough to travel back home.